Best known for his revolutionary free-market economics treatise The Wealth of Nations, Adam Smith was first and foremost a moral philosopher. In his first book, The Theory of Moral Sentiments, he investigated the flip side of economic self-interest: the interest of the greater good. 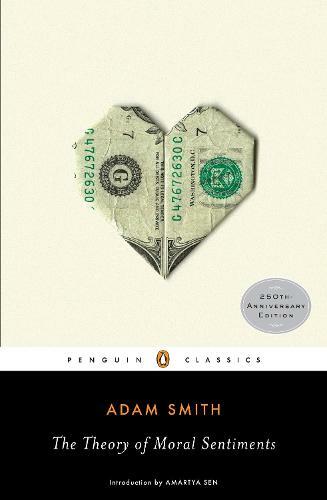 Smith's classic work advances ideas about conscience, moral judgement and virtue that have taken on renewed importance in business and politics. "One of the truly outstanding books in the intellectual history of the world...A global manifesto of profound significance to the interdependent world in which we live. It is indeed a book of amazing reach and contemporary relevance."